Windows 10 is the latest client Operating system released by Microsoft, the technical summary of its latest security features is available for download. High hopes have been pinned on Windows 10, since Windows 8, its previous version, was kind of a let-down in the market. Following in the steps of the previous version, Windows 10 will give you the same experience on both workstation and mobile device. The fact that everything now is cloud ready opens the gates for more security breaches. Microsoft has made sure to provide some great advanced features to overcome some of the modern security threats and to avoid data loss. Windows 10 offers a new inbuilt Multi Factor Authentication, which helps administrators to protect user systems by integrating user credentials with a pin through mobile devices or biometric readers: with Windows 10, various biometric devices are supported. With a single-step authentication, it is quite easy for hackers to break in and take control of the machine stealing data with a couple of clicks. But due to the dual-factor authentication which is quite complex, hackers are going to have a hard time breaking into a system or getting past biometrical security. User’s client machines can contain business critical information and many organizations deploy or configure Bitlocker for the clients to encrypt the disks on local machines. This helps protect data, but not much can be done once the data leaves client machines. To address this issue, Windows 10 offers data loss prevention (DLP) to protect the files, which is quite transparent to the users, as they don’t have to change their working style. In fact, they don’t even have to switch apps or modes to protect their corporate data. Windows 10 automatically encrypts corporate apps, data, email, website content and other sensitive information, because it reaches a device from corporate network locations. Users can also choose to differentiate between corporate and personal data in order to encrypt and protect just one kind of data. Windows 10 provides another option to protect users from security breaches. Only trusted apps can run on client machines. Organizations can decide which apps should be installed. With this security feature, users cannot install any third-party application that are not signed and which could cause potential threat to the organizations. Remote or sales team hardly come to office and they mostly use VPN to connect from their mobile devices like tablets etc. There is always a potential risk associated with their connection to office via VPN. Windows 10 provides an option of custom specification of allowing or denying access to apps when VPN connection is used. This enhances the security and also protects organizations from various threats, particularly when they use the BYOD model. 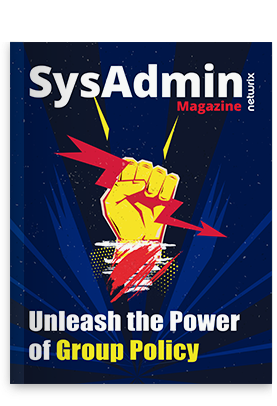 In Hyper-V environment, whenever a user is authenticated with Active Directory domain controller, a token is generated and this token is used to access resources. If this token is compromised, hackers can easily access resources without any authentication. Windows 10 helps avoid these kinds of phishing attacks by storing user access tokens inside a secure container. With this solution, hackers will not be able to extract the token, even if the Windows kernel if compromised. Windows 10 is the next generation client operating system with some cool new features and experience for the users. Looks like, once the final version of Windows 10 is released and adopted, organizations will move towards highly secured environment.